The grocery bill is generally one of the largest expenses that any home has to manage, so it is very important to ensure that your grocery dollar goes as far as possible, and that you do not let food go to waste. Clearly, one of the best ways to do this is by properly utilizing your freezer to keep your food fresh for extended periods of time. 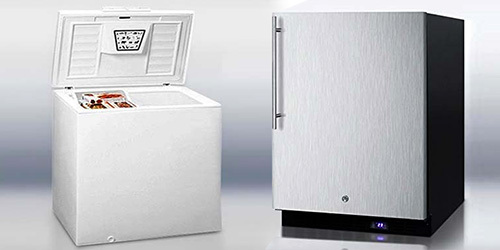 In some cases, you may be able to buy food products in bulk if you have a great deal of freezer space, so it may be a good idea to purchase another freezer in addition to the one that is included in your refrigerator. This additional freezer space may allow you to buy foods in bulk and save money in the process. 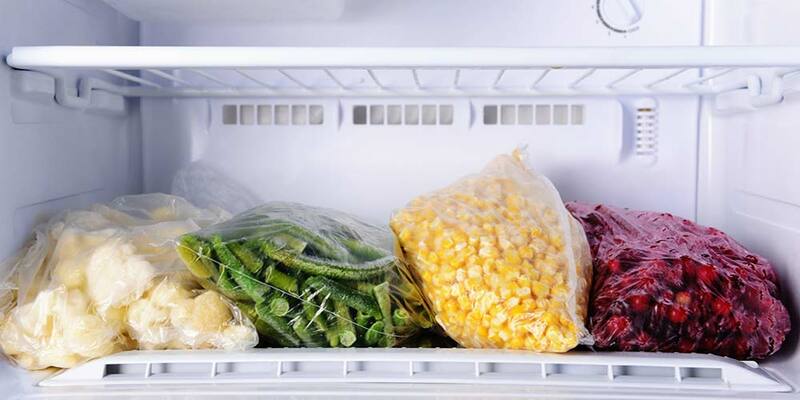 Regardless of the type of freezer you decide use or where you put it, these five simple tips for storing food in your freezer will help you manage your grocery bill while keeping your foods fresh. It is also particularly helpful if you freeze the food products when they are at their peak freshness. 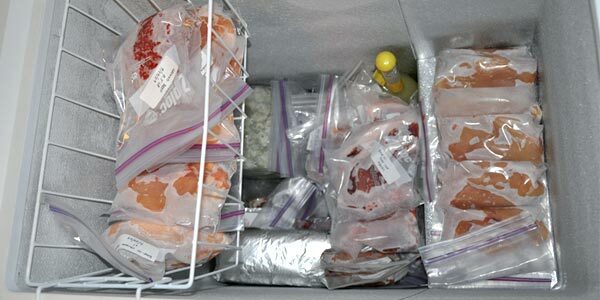 While the quality of the food may suffer due to an extended period of freezing, foods stored at or below 0°F are generally safe for thawing and eating. How quickly the food freezes plays a role in how well it will keep while frozen, so it is important that you make sure that your foods freeze quickly. Keeping the temperature at or below 0°F is one obvious measure that you should employ, but you can also accelerate the freezing process by being mindful of placement. By directly placing foods against the side of the freezer, the time needed for freezing is decreased significantly. Once the foods have been completely frozen, they can be moved away from the side wall so that other foods needing to be frozen can take advantage of the accelerated freezing time as well. 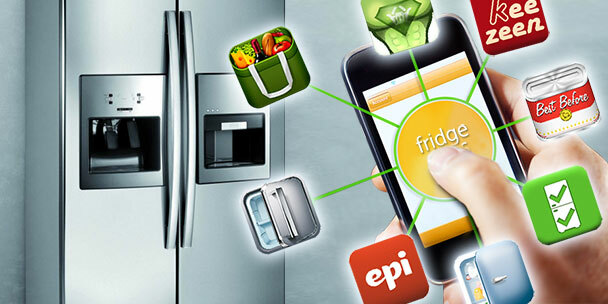 Labeling your food items before they are placed in the freezer makes the identification process so much easier. Use a dark marker that writes easily on plastic bags or other containers so your notes will be easily seen when the food is in the freezer. Make sure to include as much information as possible, such as what is inside the bag or container, the date that it was frozen, and the number of servings. Making sure this information is readily available will help you manage the contents of your freezer, allowing you to avoid wasting any food in the process. 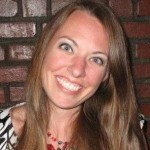 Some food products are simply not ideal for freezing. It is never safe to freeze canned foods until the contents of the can have been removed. Eggs that are still in their shells are also unsafe for freezing. Everything else is basically freezable, but there are still some food products whose quality may suffer in the freezing process. Some food products, such as cottage cheese, yogurt, mayonnaise, and cooked eggs will experience adverse effects to their texture. Others, such as fried foods, may become rancid due to freezing. Sauces that are heavy in fat content may curdle or separate because of freezing. While most food products are safe for freezing, it is always best to be sure that the food products you are storing are suitable for freezing. Vacuum-sealed bags are great for use in the freezer. 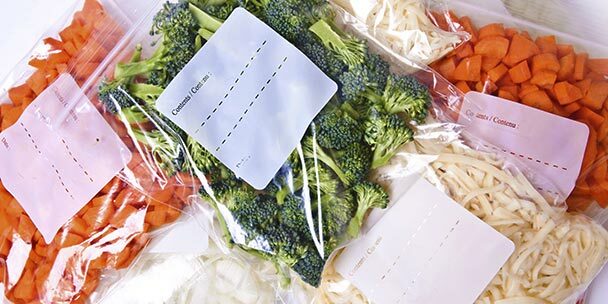 By removing the air from the bag, food products are able to stay fresher in your freezer for longer periods of time. But you do not necessarily need the special bags to vacuum-seal foods. If you use a straw, you can accomplish the same goal that the freezer bag allows you to. Simply seal the bag around a plastic straw, and then remove any remaining air from the bag. Once you have done this, completely seal the bag and place it in your freezer.